"Quick, courteous, and professional service. The installer had to work in a heavy rain when he was installing the outside portion of the system. He also had to drill different holes in our basement because our sump pit was directly below several sets of windows. He never complained and he answered all of our questions. We still have to submit our two week test so we are not sure how well the system is working but if it works like the installer we won't have any radon in our house." "They were very helpful, answered all my questions. They did the job for the price quoted and when specified. Overall, I feel that they are an excellent company to do business with." "The company phoned me within a few hours and set the appt. for the following day. They showed up as scheduled and did an excellent job at a fair price." "Competitively priced and prompt service." "The technician, Darryl, showed up on time, a little early in fact, and went to work right away. He did a thorough, professional job and was very courteous. He explained very clearly what he was going to do. At the end of the job Darryl explained how the system worked, and follow up steps (radon test, monitor system vacuum). Overall the job only took about 3-4 hours, Daryl worked straight through with no breaks, at least I didn't notice him take one. He had all the tools and equipment required and cleaned up after the job. A very professional person and job." "They were very responsive to our needs. We were selling a house and found radon at the 11th hour. Not only were they able to meet our tight time frame, they were willing to match a competitor’s price. Overall, they made an unpleasant situation much better. Also, their great radon guarantee made the buyers very comfortable that the house will be safe for them. I highly recommend them." "They were here on time and worked hard to get the job done in spite of the heat. They even cleaned up after themselves." "They did the work at best price. I recommend them all the time." "The technician did a great job. He answered all of our questions." "Timely, professional, efficient. Got there early and finished early. Great knowledge of their services and very friendly." "This is a very professional team. I highly recommend them to anyone who needs radon mitigation completed." "Thank you so much for doing an outstanding job. Your guys were professional, on time and installed a quality radon mitigation system. Thanks for a job well done." "They came on time for the job and completed the work. Cleaned up after themselves, and system is working great." "I called them and they were there the next day and it took no time 4 hours and he was in and out. I was impressed with their service and speed and workmanship....I would recommend this company to my other family members if they need this kind of work done." "When we found out that the home we were buying had a radon level twice the limit, I thought we were going to have to look for a different home to buy. I spoke to Jamey at SWAT. He assured me that radon problems are very common and can be corrected in any home. We are now living in our new home, radon-free!" "When radon becomes an issue for our clients, they are only company that we trust and recommend." "Your company was a pleasure to do business with. Your service was prompt and professional; even on short notice." "Thank you for being so kind and considerate. Your tech who installed our system was truly wonderful and very professional representative of your company." "I'd like to give a special thank you for the excellent service. I appreciate the fact that one of your representatives came out to explore all of the system possibilities and made us feel comfortable before installing it. To top off a good experience, he came back on a Saturday to install the system so I didn't have to take time off work." "Thank you for all your assistance and excellent work! Our monitor is now reading 1.0 on the long-term test." "I wish to commend your installer, Jim, for doing a neat, efficient, and responsible job installing the radon mitigator in my basement. He arrived promptly at 8:00am, surveyed the job, identified the best place for the system, and worked to the end. After installing the system, he left the work are nice and tidy. Thank you for sending him. I will recommend him and your company to any one of the thousands of homeowners in this area who need a mitigator. PS- It is a delight to work with honest, responsible people!" "Our post-mitigation radon test results came back 0.9 pCi/l. Thank you! You were trustworthy, prompt, and efficient. I would be happy to recommend you!" "Your crew was very polite and neat. I wanted to let you know they did a great job. Keep up the good work!" "Yesterday, your technician installed a radon reduction system at my home. I would like you to know that he was great to work with, showed up when he said he would and knew the radon subject well. The installation was a bit tricky and he was able to fit the outlet pipe within a very small joist space where it was out of the way. A very nice job and I am thoroughly happy how the work was done. Thank you!" "Very prompt and professional. Great crew." "I would like to thank you so much for the radon system you put in our house. Your installer did an outstanding job! Not only was he professional, but he answered all of my questions (and there were many) and his workmanship was superb. He went above and beyond to make recommendations and change things to make everything work best for our household. What an asset you have in him as an employee. Our radon is now down from a 22 to 0.5. Thank you so much for helping make my family safe. If anyone should ask for a reference, you may give them my name and phone number." "We have had them do numerous radon inspections and mitigation systems for our buyers/sellers. They have always been professional and efficient. We always recommend them for radon services." "You have been consistently responsive to our inspection needs and prompt in the delivery of their service. 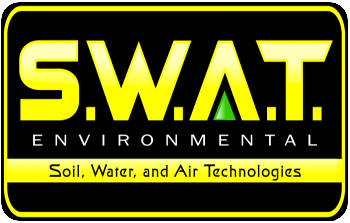 They have also provided installation of mitigation systems for our clients in a timely and efficient manner." "When it comes to radon, no one does it better!" "Your guys did such a great job with the system in my home, that I am going to tell all of my neighbors about you. Thanks for the great service!" "Quick response for initial quote. Very knowledgeable. Installaion date was scheduled quickly and installation was very quick as well. A coupon was offered on top of their already discounted price for the quick scheduling. Felt like I recieved great value for my money. System is up and running and seems to work great." "Prompt service. Arrived on time and completed entire project within a couple of hours." "Highly recommend! Called back quickly, came out on time, gave great solutions, and installed a new system professionally and efficiently -Thank you!" "Their staff was very informative and eased my concerns. I have a finished basement and was concerns about how much was going to be affected by installation. Their installer came out the next day, named Matt, he was one of the more professional and hard working contractors I have ever had do work here. He was very careful about disturbing minimal amount of the finished basement to install the system. In my opinion, he went above and beyond keeping the amount of impact to a minimum. He could of very easily had cut more drywall out then he did. He also spent an hour in my attic which had to of been over 120 degrees and he didn't flinch"
"They were on time and completed the project as they quoted. They reviewed a couple of possible scenarios for radon mitigation on site and determined the best alternative which was minimally invasive to our living space. I have not completed the post installation radon test as they recommended waiting one week before we initiate the test." "Very prompt, quick mitigation service. The job is expensive but they performed it well." "The technician was on-time, very professional, and pleasant." "Communication was easy and the price was fair for our radon mitigation system. Installation went without a hitch." "Scheduled, Installed the next day, Technician installing was awesome, professional, and quick to finish the quality job. Price beat all other estimates by 300 dollars when considering extra materials that may have been required. Recommend this company - bar none." "I was contacted shortly after sending the request to Service Magic and an appointment was set up around my schedule." "We were very impressed with price, responsiveness, courtesy and quality of work. The technician worked with us to place the piping in the most unobtrusive, both interior and exterior, location. We highly recommend this company!" "quick response , and work completed only 2 days later, very happy with the professional results." "The company was timely, accommodating and the technician they sent was friendly and professional." "We found them to be very competitive pricing and they did a good job. Rating 5"
"Friendly, answered all my questions, quick, and on-time." "PROVIDED THE NEEDED INFO, THE TECH SHOWED ON TIME, FRIENDLY & PROFESSIONAL"
"They did show up a bit late but once here they appeared to do an excellent job and were very pleasant in doing so. I have to wait two weeks to test the results." "Very pleased with the installation of radon mitigation system in our 1940's home. Quick, clean, and no hassle; very easy to work with. They installed the system on a Friday late afternoon/early evening in just a couple of hours. Competitively priced and explained their entire process - great communication throughout! Would recommend them to anyone looking for Radon Mitigation." "here on time, neat. the job was done in less than 2 hours"
"Installer explained everything we needed to know. Answered all our questions. Showed up on time. Very professional and friendly. Cleaned up after the job was completed." "Prompt call back. Quick phone estimate. Service scheduled immediately. Excellent Service Technician. Good looking installation. Area cleaned when work completed. Overall, very satisfied. Currently conducting follow up test for radon levels." "Excellent service - quick install, very professional"
"Technician was very willing to plan the project according to my preferences. Good communication regarding when they would arrive and excellent overall experience." "Nice job done as promised, good communication about project." "My experience was really good. Install started at 8:30am and was completed by 2:30pm. I had the tech run the vent through the garage and the roof. Everything was well done and clean. Nice job. I would recommend." "Very timely service. Explained thoroughly!" "Great service at the agreed upon price." "I was very satisfied with the service i received. they were prompt and the installation went easy and they did not make a mess while installing the unit." "Project was completed in a much shorter time than told. It made me wonder if they did everything they were supposed to do. The test results after the mitigation was only reduced to 2.8 from a 4.7. They have a guaranteed radon level below 1.9 on their advertisement card. I haven't heard from them since doing the work." "Was very well professional in his job and went to work right away and got the job done." "arrived on time and got right to work. Did a good job in a very timely manner"
"Provided information and price same day. Installation was professionally completed in a timely manner." "They did 2 homes for us and both times they did a great job. They were affordable and got the radon levels down." "They were great to work with, very responsive, gave the owner a $100 off coupon which priced them below all other radon mediation contractors. Job was done in a timely manner and apparently done well because the follow-up radon tests showed the radon at acceptable levels for the EPA." "Very professional. Managed the whole process remotely. In my business that is key. System was installed with no problems and results came in way under permitted limits." "Service was same day and very professional. Work was completed within a few hours and the technician cleaned up nicely. We are conducting the follow up test right now, but you guarantee results, so we are pleased." "Very professional and neat did a good job." "overall the service is good. we had some misunderstanding with the technician. but when i called later, the question was answered and we are satisfied. the most important- the new system is working fine and we are happy so far." "Dave showed up when scheduled and called when he was close. He did his work and before I knew it, he was done. He explained the procedure and answered my questions. Very clean install." "Great service, system explained well. I feel much better knowing that my radon problem is solved! The larger fan takes care of any excess moisture in my basement, too." "They offered me next day service. They arrived on time and the young man was very informative and was done in no time, The system blends well with the house. When they arrived that morning my radon detector was reading 14.7. Two weeks later it was at 1.7. My basement has also lost that musty smell. I highly recommend this company to anyone who has a Radon gas problem." "Your service tech was excellent. He walked me through the process and answered all my questions. He was personable and professional." "They were very knowledgeable, quick to call back and we had the process done in one week. We could've scheduled even earlier. Very happy." "The service man that came out was friendly, efficient, clean, and timely." "The installer arrived when scheduled and explained proposed work. Installation of radon reduction ductwork and fan was completed in less than two hours. Work was neatly done and debris was removed by installer. System appears to be working effectively. Both exterior and interior hardware is modern and professional in appearance. Operation of new system was thoroughly explained."